This post will walk through how our personal computing devices reveal information about us and what control we have over this process. Privacy and tech can feel overwhelming, but you don't need much technical knowledge to understand these issues! We'll start by breaking down computing devices and how they communicate over the web, go in more depth regarding web browsing, then talk about ways to control this process. Let's start basic. It will lay some useful groundwork. Personal computing devices -- including desktop and laptop computers, tablets, and phones -- can be pictured as three components: hardware, operating system, and programs (nowadays called apps ... you kids ... harumph). All connections to the outside world go through hardware. Speakers and screens, cameras and microphones; keyboard, mouse, and touch; data via the Internet; and so on. The hardware also includes the CPU, memory, etc: parts that Get Stuff Done when software requests it. The first big category of software is the operating system: Windows, Mac OS X, Linux, iOS, Android, and others. 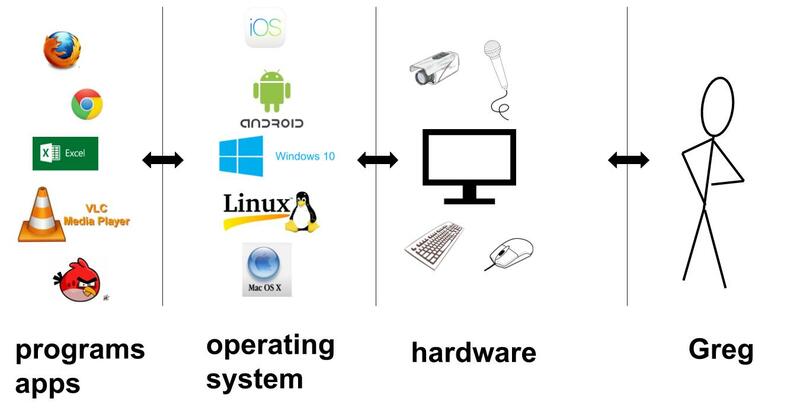 The OS determines what kinds of programs can run and how they interact with the hardware. It manages things like where files are stored and permissions for programs to do things like open files or use the microphone. The second big category is of course the programs you install and run: web browsers, document writing and editing, photo taking and editing, games, media players, and the list goes on. Recently web browsers have taken over more and more responsibility for these tasks, especially on the desktop. I don't want to get too philosophical too early, but my view is that if you own the hardware (e.g. phone or laptop), then it should be completely up to you what software it runs. And of course, you choose software that best serves your needs and preferences. Naturally, you wouldn't choose to run software that actively harms you or exploits you for someone else's benefit. Right? We'll see. What happens when two devices communicate over the Internet? When Alice types "https://www.duckduckgo.com" into her browser, it first needs to know where to find that website. It sends a message to a service called the domain name servers, which act like a phone book (if you are under 25, get your parents to tell you what a phone book is). These respond with the IP address for that webpage. This is the "address" of the computer that holds the DuckDuckGo homepage. Then, Alice's browser sends out a request to that address. The computer located at that IP address receives Alice's request and sends back the webpage. Alice's request included a return address -- the IP address of her own computer. "Alice's right foot, Esq. 129/55/ block, neighborhood of Boston, (With Alice's love)." Let's quickly go over webpage encryption, or SSL. This is the "s" in https://. If you connect to a page over plain http, then your messages are unencrypted and any computer in the middle can read them or even modify them. In fact, Internet Service Providers (ISPs) like Comcast have been known to modify the unencrypted webpages you read (at least when net neutrality is unenforced). On encrypted "https" pages, often shown in browsers these days with a "green lock" icon, the exact web address beyond the top-level domain and the contents of the page are encrypted so that only Alice can read them. Her responses are encrypted so that only DuckDuckGo can read those. 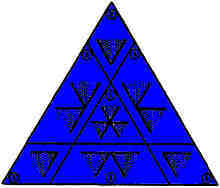 How this is done is a whole thing we don't need to get into, but partially the answer is: mathematics! How does this communication physically work? When Alice sends a request to a particular IP address, it first goes from her computer to a router (at home, the library, work, school, etc: the process is the same). This router will look at the IP address and determine which of its neighboring routers to send the message to. It has a rough sense that e.g. IP addresses starting with 1.6 and 1.7 should go to India, for example, so it sends those requests toward neighboring routers in that direction. 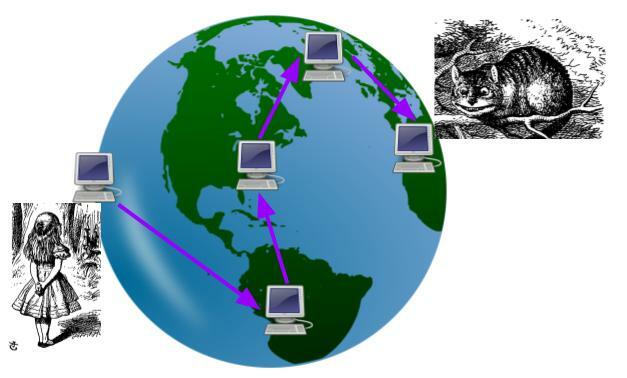 As the request hops closer, the routers have more specific information about where that IP address is currently located, and within probably a dozen or two dozen hops, it is routed to the correct computer. Some important implications: IP addresses generally work like physical addresses. If you move your laptop from home to work, it will have a completely different IP address. But these addresses also change frequently. Alice's ISP may currently have assigned her one IP address, but it is likely to change relatively often, depending on where she is. As these local changes take place, the routers update their knowledge of where different addresses are and how to route packets. Before leaving orbit, let's discuss Internet service providers. The ISP that you're paying for internet access controls your first router stop, the gateway to the rest of the web. 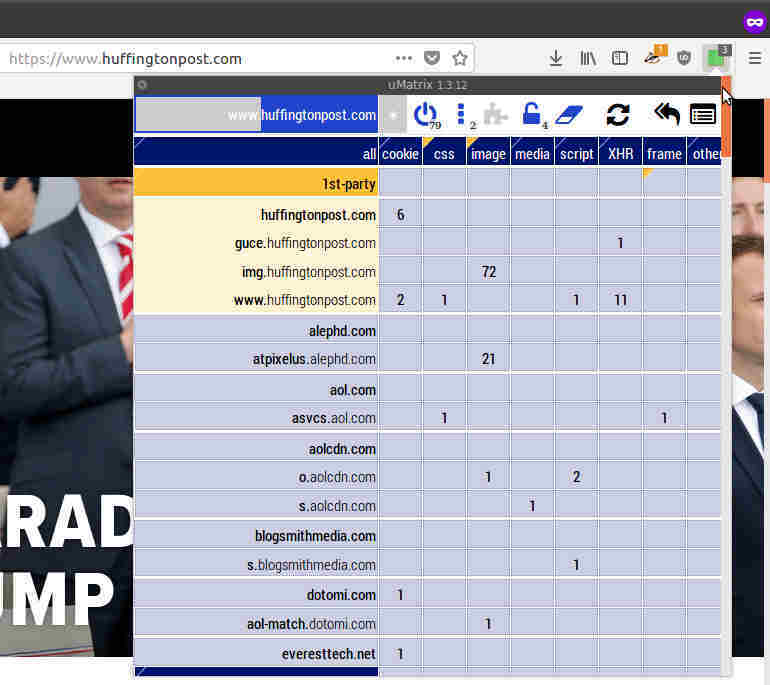 So it sees what sites you connect to. 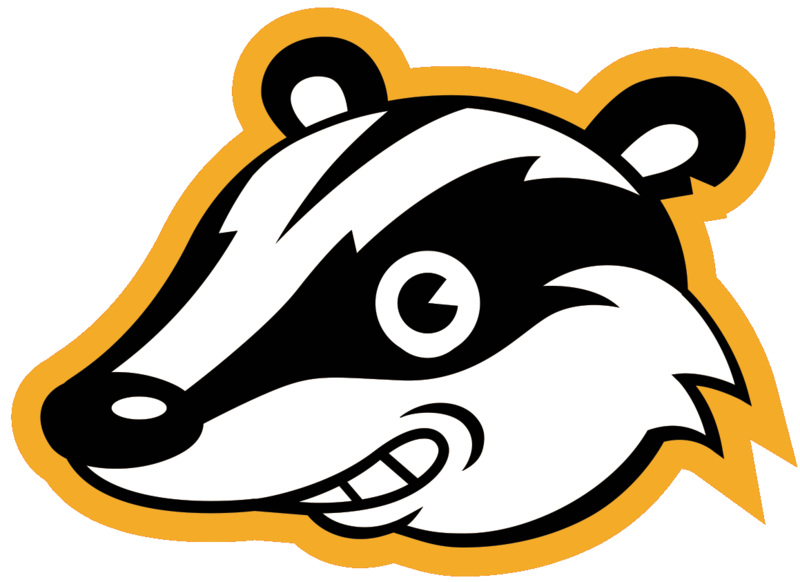 It can block sites completely, slow down some kinds of traffic like video or gaming, or even, as mentioned above, modify your unencrypted webpages. And indeed ISPs have done all of these things, some of the impetus for net neutrality laws. In the USA, since mid-2017 it can legally sell your browsing information to third parties. When you use mobile phone data, the phone company's satellites are your ISP and you route through them. They also can collect and sell information and are known to do so in real time. When you visit a site, its operator can send your IP to e.g. Sprint and get back your real identity: name, address, etc. With that background, let's talk about how devices collect and transmit information about you. Companies say they have good reasons for doing this. I'm not trying to discuss those reasons here; that's between them and you. But I do believe that you have the right to be aware of what happens on your devices and decide what software you want to run. We'll follow the basics above, starting with hardware. Hardware? 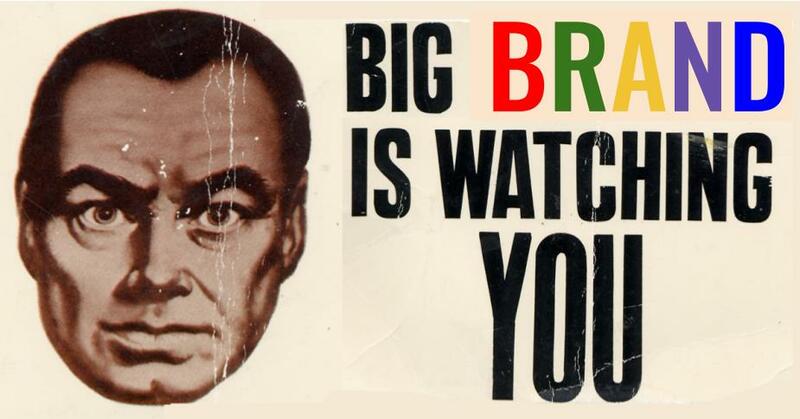 Yes, unfortunately, hardware can spy on you. For example, it turns out that many processors are built with a second, miniature, permanent, hidden operating system installed. It can in theory see everything your computer does, access all your data, and send this information anywhere without you knowing. Of course, Intel and AMD say it doesn't, but it has been found vulnerable to hackers. Like other cases, if it stays secure, then it's not a privacy risk, but that's mostly out of your control (though some device or laptop vendors attempt to disable it). Hardware can also transmit signals conveying information about you. A primary example is the broadband cellular connection on your phone. When on, it is alerting nearby cell towers who you are and your approximate location. Cell phone companies sell this data and it has been leaked in the past. Other objects in our lives increasingly have built-in computers (essentially hardware from our perspective, as we can't modify it) that transmits such data. These include cars (Tesla continuously collects data about its drivers, and e.g. Onstar has collected driving habits with intent to sell), so-called "smart" devices like utility meters that collect electricity and water usage data, so-called "smart" TVs that collect viewing history or record your conversations, and so on. Next, let's talk about operating systems. Currently, Windows 10 collects data by default about your usage of the system, with justifications as discussed above. (I'm told there are options to turn off some of this tracking.) Of course, proponents of open source and free software would tell you that, since the operating system's source code is proprietary, we really have no idea what it's doing and what data it sends -- only Microsoft's word for it, in this case. Other operating systems also collect information to some extent; some versions of Linux allow opt-in to reporting frequently-used programs. Hardware vendors who sell devices may install tracking software with the OS; Lenovo got in trouble over this. Finally, there are the main offenders: programs, or if I must, "apps". In general, if you run a program on your computer or phone, there are a lot of nasty things it can do. It might look through your tax documents or photos and send them off somewhere; it might access the camera and take new pictures; it might log the keys that you have been pressing in search of passwords. Running software requires some level of trust. Now, the operating system controls permissions given to programs, so for example, your phone hopefully does not allow apps to use the microphone or access photos without your explicit permission. These settings might be worth paying attention to, since phone apps e.g. use your microphone to track what TV you watch (though claims that Facebook and Instagram listen to your conversations are apparently currently false). Similarly, web browsers act as miniature operating systems themselves these days (see "sandboxing" below), although they don't always offer fine-grained control over webpages' permissions. Beyond this explicit permissioning, deciding what programs to run on your computer is mostly a matter of trust. Again, free and open source software by default has a higher level of trust as it can be and usually has been audited for bad behavior. Let's take a break and look at an example: accessing to one of your accounts (say Facebook) with a third-party program, i.e. a program written by neither you nor Facebook. You type your Facebook login and password into that program, and it accesses Facebook for you and retrieves information, etc. on your behalf. Note that during this process, you gave your Facebook password to the company who wrote that program. Hopefully their app doesn't save the password to a remote server or make it accessible to their employees. Hopefully they don't use it to log into your account without you knowing or download data about you. But you have no way of enforcing any of this, unless the program is open source and you have audited it. A webpage is a document in HTML format. This is The Thing that the server sends Alice when her computer requests a webpage. It is really a program (written in plain text -- you can View Page Source in a browser) that tells your browser what to load and how to display it. Here are the main components a page can have (leaving aside media such as videos). Initially, webpages were mostly or exclusively text, along with some formatting like bold, italics, large, and blinking marquee. The webpage delivered the text and inline images along with some styling instructions, and the browser followed these styling instructions in its own way. In other words, data is delivered to your computer: your browser determines how to display it to you (along with suggestions from the webpage designer). Many pages are still designed in this few-frills way. Even with plain text, the site you're connecting to still learns at least the fact that someone connected, the date and time, and the IP address that connected. This is the idea behind tracking pixels in emails: send an email with a remote image embedded; when the user loads the email, their computer connects to your server to fetch the image and you learn when and where they are reading the email from. Some providers like Gmail block all remote images by default for this reason. A next step in web design was interaction with the page. 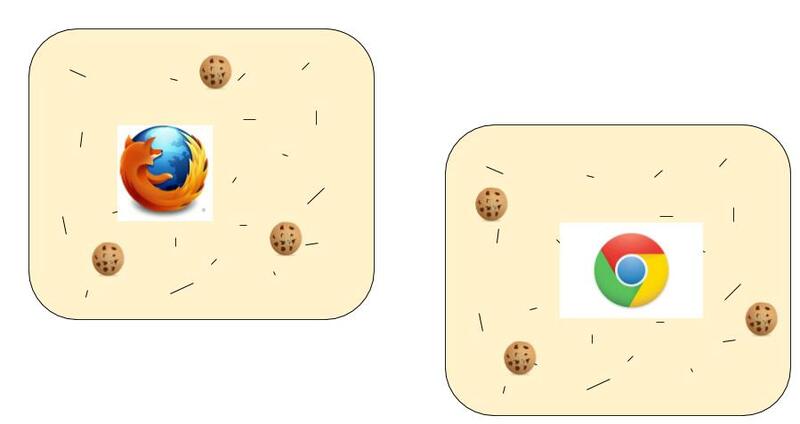 A "cookie" is a piece of data that the webpage asks your browser to store in your computer. 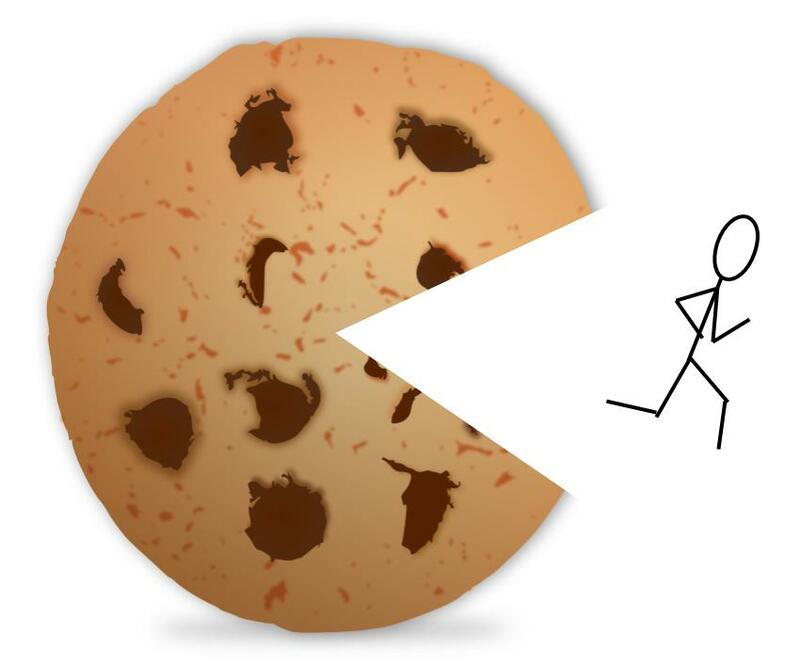 When you visit a new page, it may ask to see your cookies and use that data to decide what to show you. For example, if you place an item in your shopping cart, a cookie could keep track of that info. If you log in to an account on a forum, a cookie keeps track of this as you navigate the pages. You might ask: why would I store a cookie like that on my computer? Why should my own software store this invasive tracking data about me and communicate it to tracking companies? My answer is: I don't know why you would do that. (Companies say it gives you a better experience). And if you choose not to, I'll discuss some ways to control this below. In pursuit of continued interaction, the next step was the use of interactive programs running inside a webpage. When you send a request, the page delivers you the text, inline images, and also (perhaps) some "scripts" or programs that the page requests your browser to run. These scripts can be as small as mini animations or as complicated as an entire word editor (like Google Docs). Let's take another case study break. The following is typical of many sites on the web, but especially large news sites and some blogging platforms. I hope the post so far has illustrated some choices you can make in regard to the hardware, operating systems, and software you choose. Here is some more detail and approaches if you would like more control over your information. In addition to protecting everyday users' privacy, Tor protects political activists and circumvents censorship. With both Tor and a VPN, an important additional privacy feature is that your ISP or phone company no longer collects information on what sites you visit. From the perspective of the ISP, all of your data is encrypted and goes straight to one computer (the VPN server or first hop of the Tor network). This also routes around any censorship of the ISPs or possibly government: since they can't see what sites you're trying to access, they can't block them. This is why Tor and VPNs are generally banned in China. Use of a VPN can also prevent ISPs from messing with your connection in other ways, e.g. throttling traffic. Unfortunately, since Tor and VPNs are used for anonymity by malicious traffic as well, many sites will either block IP addresses they use, or require visitors to e.g. fill out CAPTCHAs. VPNs can also be used to route around region-specific censorship, and are often blocked for this reason. For example, Netflix blocks VPN traffic because a user in the USA could connect via a VPN in Australia, and with that Australian IP address, access Netflix content that is supposed to only be available to Australians. It's also good to know about the concept of sandboxing. The term comes from giving programs a space they can play around in without hurting anything, isolated from fragile or sensitive stuff outside. Each browser acts as a sandbox for webpages and the code they run. They hopefully prevent those pages from doing things like reading your tax files or installing surveillance software, unless you explicitly agree by e.g. downloading and running an untrusted program (don't do that). Using a separate browser for different websites "sandboxes" them away from each other. It ensures they don't share cookies and may prevent fingerprinting from identifying you as the same person who browsed both sites. For example, you might log into an email or social media account on Browser A but browse the news or shop with Browser B. But if both browsers have the same IP address, this may be of limited success; I'm not sure. Some browsers are beginning to support this kind of sandboxing within the same browser. A more extreme form of sandboxing is to run a virtual machine. This is a "computer in a computer", an entirely different operating system running in a window. For example, you could run a version of Linux in a virtual machine and browse the web from Firefox in that VM. You can also make the IP address different as well, e.g. by connecting that virtual machine to a VPN in a different location. The most extreme sandboxing, I suppose, is to use an entirely different physical device, e.g. a laptop used only for email and using email nowhere else, so it can't be leaked. A final related technique is to use firewalls to block all Internet traffic to or from certain sites, such as known tracker networks. After setting up this firewall on a computer or home router, webpages or "smart" devices will be prevented from connecting to these sites. One can also set up VPNs at a home router level to ensure all traffic is routed through the VPN. Can I get just a little philosophical? The vision of personal computing is to empower people to access information, entertainment, social connections, and more. Increasingly, computation is embedded into many aspects of our lives via devices we own and use. We nominally "own" these devices, but they follow instructions from many sources, not all aimed at empowering us. 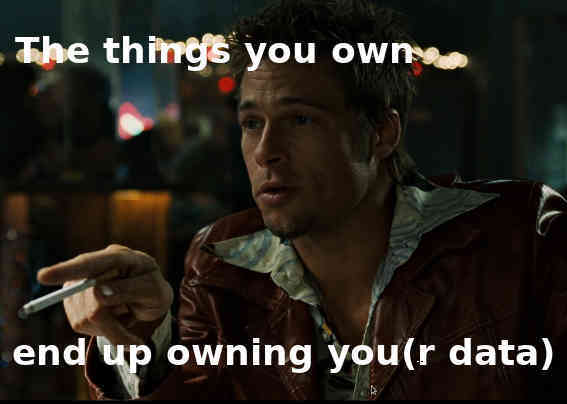 One definition of ownership is: power of (exclusive) control. For many of us, the software we run on "our" devices is designed and controlled by companies, many of which we've never heard of and don't trust. It is used to collect information about us, and that information is ultimately used to influence our decisions: to exert control over our actions. So far, this data and control has been exercised in only a few ways, mostly advertising to influence our purchasing decisions, and influencing our political votes. But these are your devices, which means this is ultimately up to you. I hope it's clear this post isn't trying to tell you what to do about your data. It's about understanding the process and how you can exercise control, if you so choose. So based on what we now know about how our information is collected, let's end by listing some of the techniques we can use with our devices and software to control the process. 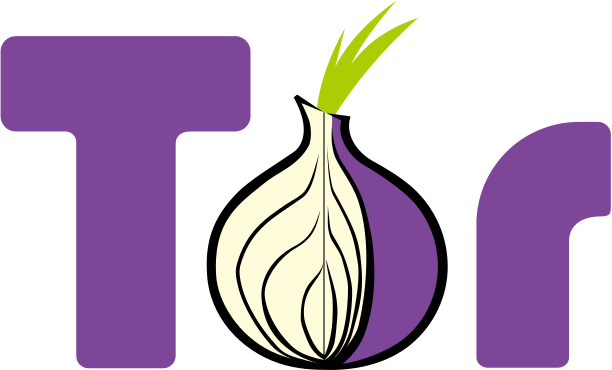 (Web browsing) Consider using the Tor Browser for regular web browsing (not while logged into any account). (Web browsing) Subscribe to a VPN service and use it for daily web browsing. (All) Use a firewall or other service, either on your devices or in your home router level for home internet to prevent any data going to or coming from blacklisted sites. (Mobile, desktop/laptop) Avoid installing programs or apps that you don't trust. Avoid giving them permissions to access location data, microphone and camera, etc. (Other) Avoid purchasing "smart" or Internet-connected devices, especially without knowing what data they collect and send. Turn off or physically disable their Internet capabilities. (Mobile) Avoid carrying a phone, or leave your phone off most of the time. Or, accept that your realtime location data is likely for sale. (All) Consider preferring free and open source software, which by design has publicly auditable source code, tends not to be produced or controlled by for-profit or data-collecting companies, and has a primary purpose of serving the user not exploiting her. We'll skip many tangential issues. There's security: being hacked is one way to compromise privacy. There's also voluntarily giving up information, e.g. using a credit card reveals your location, time, and shopping habits; giving social networks your pictures helps them learn to identify your face; and any company you give personal info may leak it to firms like Cambridge Analytica. Etc. Just a few examples: News, Blog, stackexchange. Example sources: blocking sites (UK), throttling peer-to-peer, throttling Netflix. I am referring to the Intel Management Engine and AMD Secure Technology (PSP). For more, see e.g. this blog post. 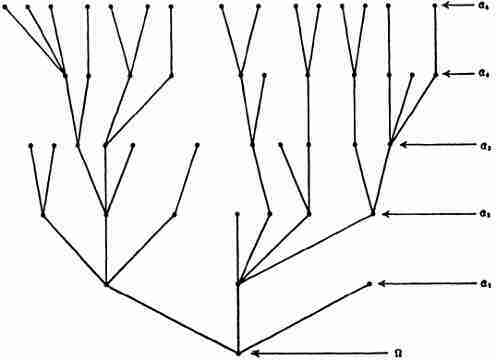 I want to mention at this point that there are mathematical techniques, known as differential privacy, that allow some amount of data to be collected while mathematically guaranteeing some level of privacy. The idea is to add "noise" to your data so that it is not clear which sites you personally accessed, but when aggregating lots of people's responses, the noise washes out and statistics are useful. This is used by some browsers these days, but the effects on long-term privacy aren't yet clear. Banks are doing it for fraud detection, but others are also doing it for more nefarious purposes.